Objective : The three years Distance Learning B.A. (Hons.) in Education conducted by The Global Open University, Nagaland has been designed for meeting the demand of the growing needs of experts in the fields of schooling, human development, human rights, adolescence, population, consumer education and national development. Award : B.A. (Hons.) 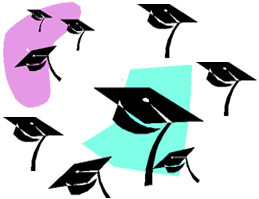 in Education shall be awarded to all the successful candidates by The Global Open University. There is a great demand for Educators in the educational institutions for directing the learning among students. Education is any act or experience that has a formative effect on the mind, character or physical ability of an individual. In its technical sense, education is the process by which society deliberately transmits its accumulated knowledge, skills and values from one generation to another. The word education is derived from educare (Latin) meaning “to bring up” which also means “bring out”, “bring forth what is within” and “bring out potential”. Those completing the Bachelor of Arts (B.A.) Degree with specialisation in Education are preferred for admission to the Master of Arts (M.A.) Degree in Education besides pedagogical jobs in schools at the nursery, pre-primary, primary, secondary and other levels. A competent cadre of young educators is the need of the hour.